I need more coffee today. However, I have to wait until this afternoon. 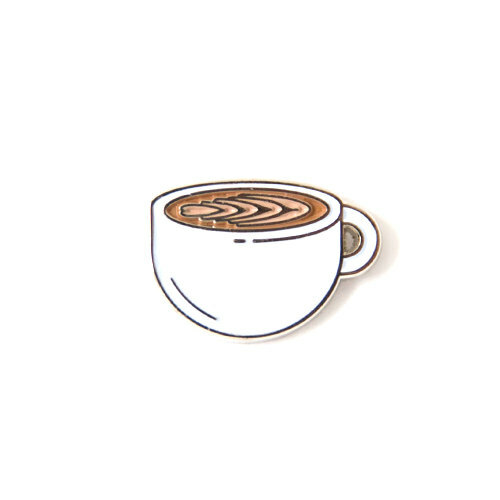 These dilemma leads to a search about coffee enamel pins (as one does) and a delightful curated post for you. You will see I limited myself to only one Twin Peak pin (can you spot it?). and a various of drinks and coffee percolators. I love coffee. It is a love I never plan to give up. Therefore, I really should have 1 or 2... or more ways to express that love in enamel, right?